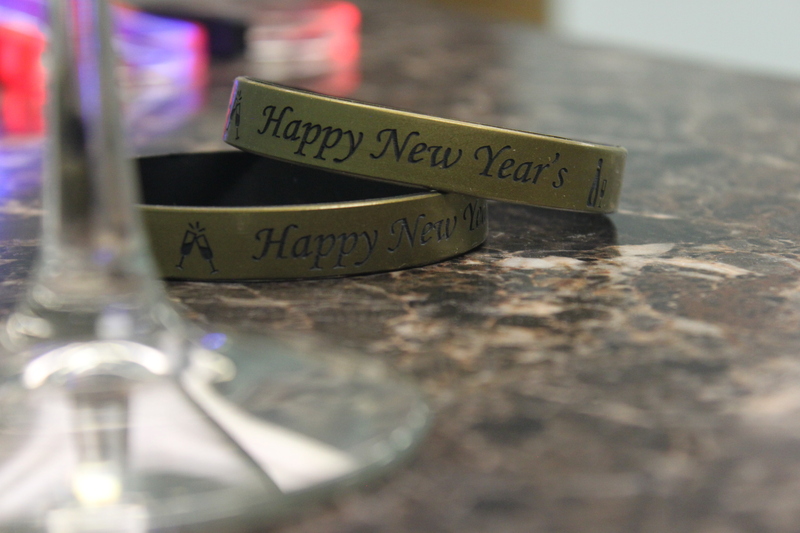 Use custom silicone wristbands to help ring in the New Year! All the products from AmazingWristbands.com are durable, comfortable to wear, custom made, and latex free. You can create a unique wristband using your own colors, fonts, artwork and message. Create your own custom-made bracelets to celebrate your New Year's Eve party! Engrave fun sayings , like "Here We Come 2016!" or "2016 Is My Year!" and pass them out to all your guests, spreading excitement and help people remember your great party. You can also use them conscientiously to verify the age of party-goers or recognize designated drivers. Create personalized bands to keep your resolution top of mind. If you want to lose weight, for example, create a wristband with a message that says "Eat Less, Move More" or "Make Healthy Choices." Choose your favorite color and add special effects to your wristband to make it fun and exciting to wear. Why Buy New Year's Wristbands From Us? Amazing Wristbands is a leading provider of customized silicone wristbands available online. Our courteous and expert customer service representatives will help you make your customized New Year's Party Bands. We offer a wide types and colors to help your New Year's wristbands stand out and make a difference. In addition to standard wristbands, we also offers slap bands, adjustable bands, USB bands, silicone rings and silicone key chains. To make your wristbands truly unique, add custom artwork. Upload your own or select clipart from our large library. You can also add a glow-in-the-dark effect to make it perfect for night-time parties! At AmazingWristbands.com, we offer free shipping, free artwork, free design, and free color matching. Many of our wristbands have no minimums and can be delivered within a few days. Use our online builder to create your New Year's wristbands or give us a call if you need help.